I just landed back from a business trip and since I failed at doing my facials while I was away it was MUST I did one today. I came home, showered, and immediately put on a clarifying mud mask. No really, I am writing in my mask. I decided while I wait for the suggested 10 minutes before rinsing it off I’ll tell you about the Sigma Skincare Set. I use this set with as much of my skincare routine as I can. Is this skincare set necessary? These brushes are designed to apply your skincare products without all the pulling and tugging that we do with our hands/fingers. The product does not absorb into the brushes which ensures that no product goes to waste. Each brush is designed for a particular skincare product. There is no need to memorize or keep a chart for each brush. Sigma has written on each brush what type of product to use. I don’t know about the rest of you but I became tired of digging into my moisturizer and having the product under my nail. Not only was I wasting product but it wasn’t the greatest hygiene practice either. 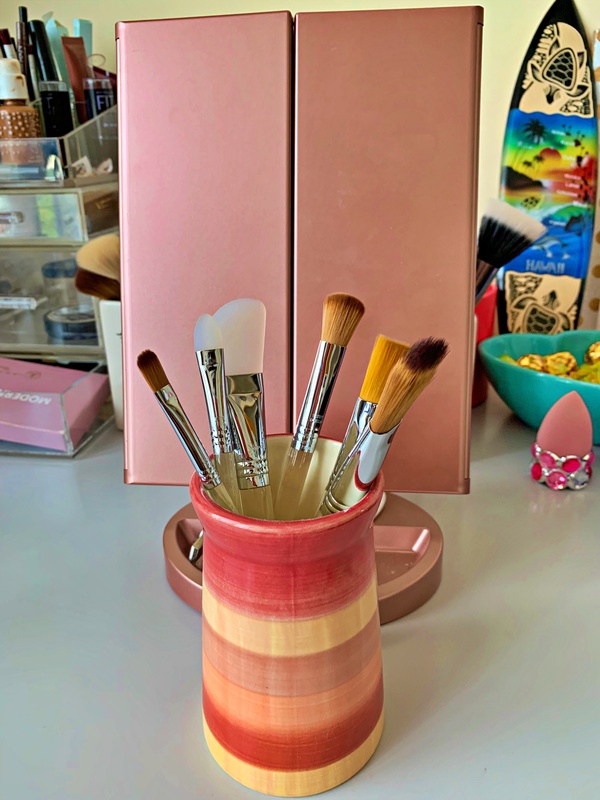 Be sure to wash these brushes after each use because after all, you are applying to them to your face so you want them to be clean with each use. I bought my Sigma Skincare Set this past Christmas. Sigma seems to have sales every week so be on the lookout to save a few dollars on your purchase. Also if you are registered with EBates, you will get 3% cash back. I think it has now been about 20 minutes and I’ll go and rinse my mask off. I don’t using my hands/fingers because of the hygiene concern. I didn’t know about these types of brushes. Thanks for sharing.